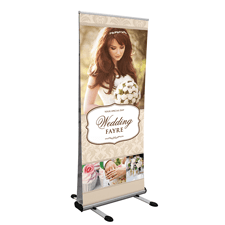 The Link2 is the world’s first seamless linking roller banner. 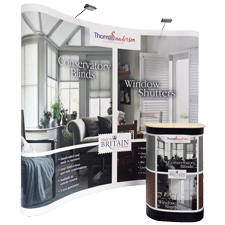 This revolutionary display solution allows for any number of banners to be joined together to fit any size of exhibiting space. 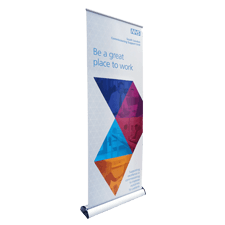 Lightweight yet surprisingly robust, Link2 banners are the perfect backdrop for any shell-scheme. 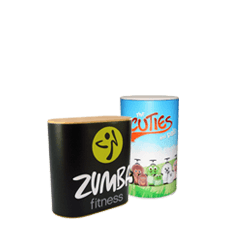 What’s more, the graphics can be easily changed meaning you don’t need to replace the stand every time you want new graphics! For straight linked backwalls, please select the Link2 Flexi-Link Kit/s from the accessories and extras tab below. 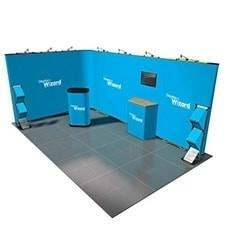 For pre-made kits, please see our Link2 Modular Banner Systems. The Link2 is the solution to many issues that exhibitors face when exhibiting at trade shows and other events. 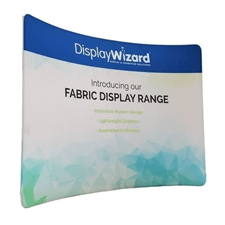 It has been manufactured to be able to form stylish backdrops at a moment’s notice, and can be altered to curve around corners and fit into any exhibiting space. 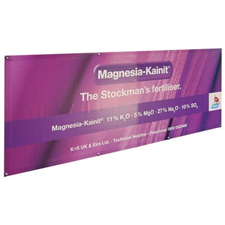 The banners are linked together easily with the bases slotting together and magnetic bars lining the back of the graphics. 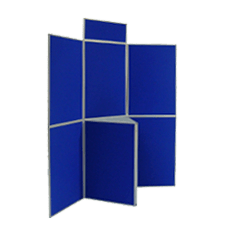 In order to join the banners, please select the Link2 Easi-Link Kit for straight backdrops or the Flexi Panel Kit for corner stands, both of which can be found under ‘accessories and extras’. One joining kit is required for each join on the display (eg. 3 x Link2 banners require 2 joining kits). The Link2 is made up of a heavy-duty casing that keeps the graphic protected whilst in transit. 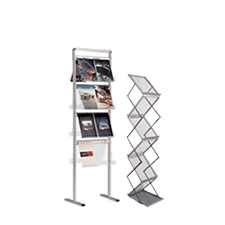 All Link2 banner stands include heavy-duty premium deep crystal graphics which will take your branding to the next level. The Link2 also has a patented inbuilt levelling system which means the banners will always join together correctly despite rough or uneven surfaces. The Link2 also has an easy-change graphic cassette, meaning you can update your graphics without purchasing a new unit. 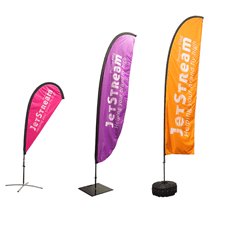 Unlike many other banners, this can be done easily without the need to return the unit to the supplier. All units come with a padded carry bag as standard. 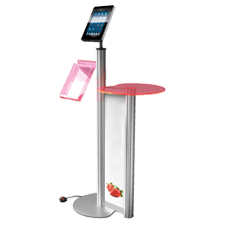 Optional extras can be purchased under accessories and extras including a wheeled hard case; a case conversion kit for additional branding; replacement graphics and LED lights to illuminate your display. 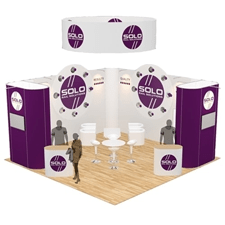 Here's a short video that showcases the Link2 roller banner. Please note product shown is a 3-panel curved Link2 kit.